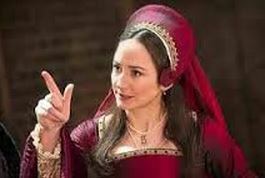 Lydia Leonard, the charming young British actress who is wowing the crowds in “Wolf Hall, Pts. 1 &2 on Broadway as Anne Boleyn has been nominated for both the Drama Desk and Tony Awards for Best Featured Actress in a play. 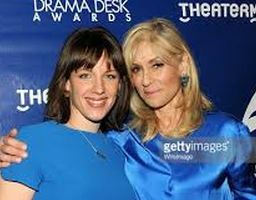 Here she is at the Drama Desk Nominee Press Reception 2015. Good luck, Lydia! 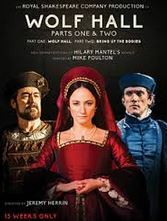 Could “Wolf Hall Pts 1 & 2” Win All the Tonys??? It’s also currently airing on PBS starring Mark Rylance as Thomas Cromwell, here the protagonist. With overwhelming stats like these, I think it’s going to get nominated for every Tony Award in the book. Including and especially Best New Play, Best Actor (Ben Miles ~ Thomas Cromwell), Best Supporting Actress (Lydia Leonard ~ Anne Boleyn) and Best Supporting Actor (Nathaniel Parker ~ King Henry VIII) and you can throw in Best Director, and all the technical awards, too. I wasn’t sure about this TONY sweep happening, although all my critical colleagues were throwing their hats very high into the air with the best reviews of the season, until I saw a 90 minute Q&A at the New School’s auditorium in Greenwich Village. Hosted by the jovial and expert Richard Ridge, Parker, Miles and Ms. Leonard utterly charmed and beguiled me, as they participated in this, one of the best symposiums I’ve ever attended. Hosted by SAG and Broadwayworld.com, the Tudor trio & Ridge created what was one of the most delightful afternoons chats I’ve ever been witness to. Also invited were Drama Desk members, and all were thrilled by what they were hearing as Parker, Miles and Ms. Leonard regalled us with a totally complete picture of just how “Wolf Hall” transformed into two stage plays from those very thick British novels. And all three were unstinting in their generosity in their replies to Ridge’s apt questions. They were three actors talking from their hearts to an audience full of actors(The Screen Actors Guild) and they couldn’t’ve been more charming, intelligent, completely forthcoming and utterly winning. Ben Miles, Lydia Leonard and Nathaniel Parker may have arrived here as virtual strangers on our shores, but they are going to leave nominated for every acting award they’ll be eligible for. 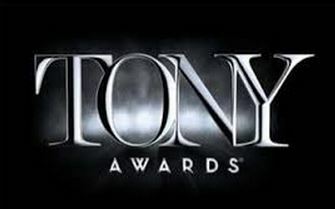 The Drama Desk and the Tonys all announce their choices within the next two weeks. I can’t wait!